A presidential think-tank has proposed radical changes in Russia, including a return to certain liberal elements of Yeltsin’s policy, a multi-party system and cutting the president’s term. The Institute of Contemporary Development (INSOR), whose board of trustees is chaired by President Dmitry Medvedev, outlined its vision of the country’s future in a 66-page report entitled "21st Century Russia: the Image of Tomorrow We Want", which was released Wednesday. “Modernization” and “innovation” have become key words characterizing Medvedev’s presidency so far. The head of state has called for changes in almost all spheres of the political and social life of the country. The idea of working out a systemized approach and defining exact steps in moving towards desired aims has long been in the air. The Russian business daily “Vedomosti” writes that the idea of a report on the issue came up last summer. Kremlin aide Arkady Dvorkovich said that Medvedev had received a draft of the proposals a few weeks ago, but had yet to comment. INSOR was created on the basis of the Center for Development of an Information Society (RIO Center), which was formed when Russia adopted the Information Society Declaration. Over time, the RIO Center outgrew its initial framework as a center focused exclusively on information and communication technologies. In particular, the center became the home of an expert council for the National Projects, which were overseen by then-First Deputy Prime Minister Dmitry Medvedev. 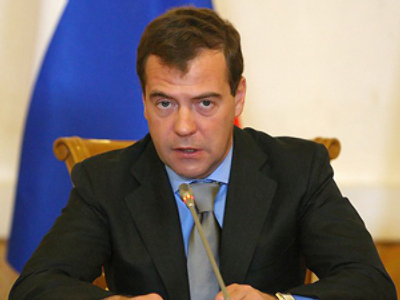 When the Institute was created in March 2008, Dmitry Medvedev, already President-elect of the Russian Federation, agreed to chair the Institute’s Board of Trustees. Igor Yurgens is the Chairman of the Intitute’s Management Board. So what should Russia’s tomorrow be like? Beginning with “Russia’s modernization in 21st century” chapter, the report outlines the parameters of the changes needed and warns about pitfalls to avoid. First and foremost, according to the authors, the country’s political life should be modernized. “Human capital” is of immense value for future development, and it should be independent in its views, realistic and critical in its understanding of reality, dynamic and responsible. Those in power, for their part, should support and cultivate such qualities within society. “New systems of values change the balance of the status of power and society, the state and humans,” the report reads. Thus, the power should serve the people and must be capable of being self-limiting. “Now the country is us. Exactly according to the Constitution,” the report’s authors stated, adding that “human dignity” should be of “strategic importance”. 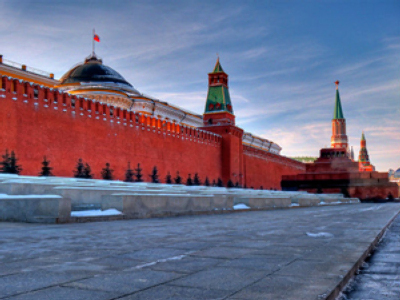 As for particular steps to be taken on the way to Russia’s democracy of the 21st century, the report’s authors say that the country needs both “a strong president and strong parliament”. The presidential term, though, should be cut from six to five years, while MPs should keep their seats for four years. Also, the state needs an effective multi-party system with about 20 political parties representing various points of view. A new political system should be based upon a center-right party a center-left one. The first will be supported by business – big and mid-sized, and large part of the middle class working in private economy sector. The second will be backed by traditional businesses – including agriculture and farmers – and the elderly. Currently, United Russia dominates both the national and regional legislatures. Regional governors, according to INSOR, should be elected by direct suffrage, as it was under the presidency of Boris Yeltsin. Later, Vladimir Putin changed the law to presidential appointments followed by the approval of the regional parliament. Courts should become strong and independent – and that be something the public trusts and believes in. 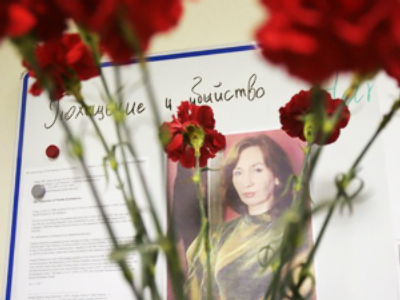 The authors of the report also touched upon one of Russia’s hot buttons – the media. INSOR believes the government should drop its control of media, which will become possible as digital television becomes widespread, thus leading to an end to the monopoly of federal channels. The authors see the overhaul of the law-enforcement system as one of the key reforms in the overall reorganization of the internal security system in the country, and the system should change from its current repressive style to one that puts the security and rights of the people first. In the new model, the Ministry of Internal Affairs will be replaced by a new organisation called the Federal Service of Criminal Police. Special police units would exist in the regions to deal with social security and minor crimes. Instead of internal forces there will be a National Guard, and a municipal militia would be active in cities and villages. The former responsibilities of the liquidated State Traffic Safety Inspectorate would be divided between the militia and a Civil Road Traffic Service. A newly created Federal Financial Police Service would investigate economic crimes. Two institutes would be created instead of the Federal Security System: the Federal Counterespionage Service and Federal Service for Constitution Security (which would deal with terrorist acts and the prevention of separatist activities). The report says that some of the proposed measures are already being implemented. For instance, the Ministry of Internal Affairs and the army are being reorganized, but it says there needs to be a new stage of reforms and the gap between enacting those stages should be not be years, but months. The authors of the report suggest that the current Armed Forces be replaced by a smaller force (about 500,000 – 600,000 from the existing 1,1 million) and a volunteer and professional army, with higher salaries, should be created. According to the ongoing reforms in the Army, the existing number of 1.1 million personnel should be reduced to one million by 2012 . However, even such a minor reduction, compared to the proposed one, is already being critisised by many. So, the head of the defence committee of the State Duma, Viktor Ozerov, doubts that the proposed reforms in the report would be enacted. The senator noted that the president has not mentioned anything about abolishing the draft and expresses concerns that in case of a war, who would be available to defend the country? The authors of the report “Russia in the 21st century, image of tomorrow” see Russia actively involved in all major global organizations such as the WTO and the Organisation for Economic Cooperation. Later, they see Russia becoming part of the European Union and NATO. However, they mention that before joining the EU, Russia should form a Common Market, there should be a free movement of goods and services, and transport systems should be integrated. Russia, they say, should also become a strategic partner of the US. The Commonwealth of Independent States should remain, but on better terms, and Georgia should join it again. At the same time, the authors don’t mention anything about Abkhazia and South Ossetia. Meanwhile, the authors of the report stress that it has been written not for President Medvedev, but for the common people, and should stimulate debate and discussion in society. They say the recent rally in Kaliningrad, where more than 10,000 people rallied, is a vivid example that people no longer want to remain as observers in their own country, but want to participate in decisions regarding a better future for Russia.